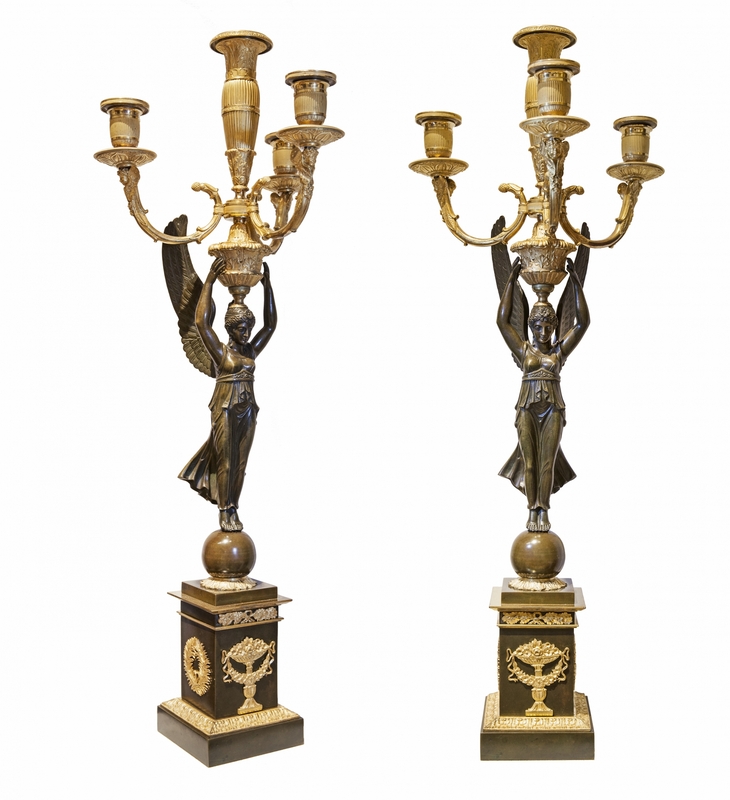 These large candelabra made of patinated and gilt bronze depict two winged angels, carrying the candle holders. They are dressed in classical robes which hug against their figure. The female figures are representations of the Goddess Nike. 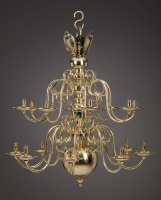 In Greek mythology, Nike was a goddess who personified victory, also known as the Winged Goddess of Victory.